I'M SORRY, I CAN'T COME SEE YOU ANYMORE. 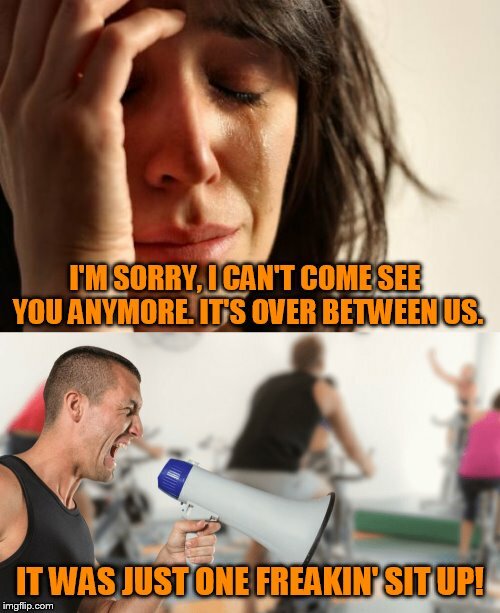 IT'S OVER BETWEEN US. IT WAS JUST ONE FREAKIN' SIT UP!